socks – at least for me – tend to be a sartorial afterthought, an accessory borne of necessity, a layer between my feet and my flats – and that’s it. yeah, the socks i wear with my frye boots are the same kind i begrudgingly stuff into my nikes. weird? who knows. um.. hello polka dots and stripes! turns out, when socks look like this, the stuff i said before becomes kind of irrelevant. i found these at h&m and quickly scooped them up, conveniently ignoring the fact that i have no clue what to wear them with, beyond pajamas..
with chunky knits and platforms, bottoms optional..
with rolled-up skinny jeans and loafers… i kind of love this! or betwixt perfectly worn-in booties and boyfriend jeans.. yes please. so tell me… what’s your favorite way to wear socks? seems silly to ask, but i’d love to hear your ideas! 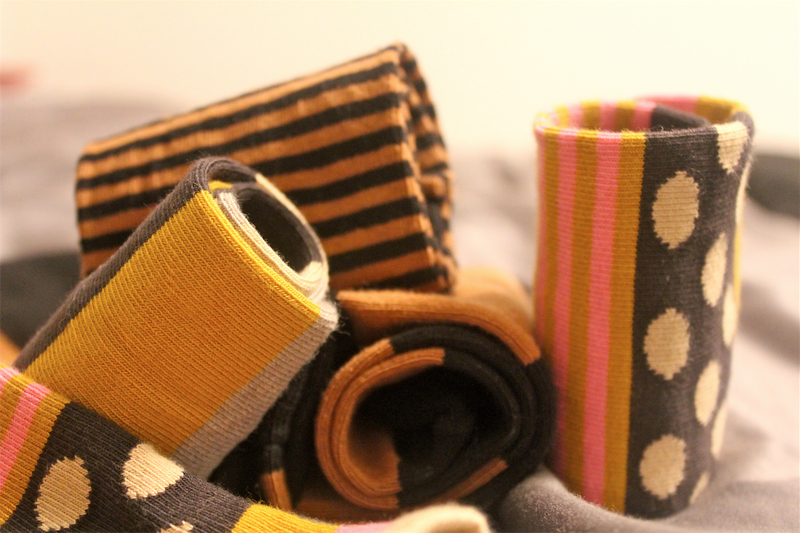 You are currently reading let’s talk about… socks! at hello lisanne.